I firmly believe in this notion and that feeling can come to you, anytime, anywhere. All you need is a yearning heart to quench that thirst of liberty. And that’s the reason why I attended a Short Film premiere of ‘Taandav‘ acted by Manoj Bajpayee, produced by Muvizz and directed by Mr. Devashish Makhaji. The event took place on the 5th of February, 2016 at HardRock Cafe, Andheri. The guest of honor being the well-known film-maker, Mr. Anurag Kashyap. The event started by 5 in the evening and many well-known media personnel and digital media (bloggers) had arrived to broadcast the event live. The atmosphere was full of laughter and happiness as we could find people chit chatting and enjoying. The mesmerizing aroma of coffee and tea had brimmed the lobby room, as we settled down to embrace the goodness of the movie. After the first screening of the movie, an interview of the Star cast and the Director took place, wherein the various media personnel and movie enthusiasts were allowed to ask their query or questions related to the film. The entire #Taandav Team were happy to answer our questions and see such positive reply to their movie. 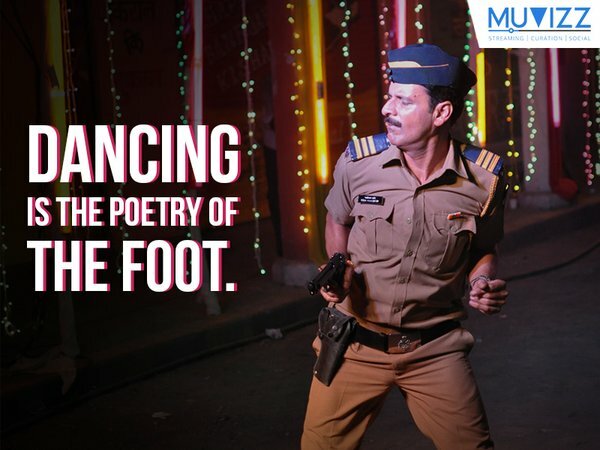 The film portrays the life of a Mumbai police head constable and his struggle to make the ends meet in his meager salary, and how he is torn apart between following the righteous path of honesty and being enticed by the dark path of dishonesty. Through this film, the director tries to portray the life of a common man who goes through massive struggle and frustration of daily life. Be it a police constable or a professor or a doctor, be it any profession, each person is struggling to some or the other thing in their life. The film also passes the beautiful message that a man is free and he can emote his self in any means which he wants. According to me, the movie expressed the beauty of freedom in its true sense and showed how despite all the struggles and dark realities of life, it takes just a moment to forget about them and live our freedom, as this feeling is just a moment away, and can be achieved whenever we wish to, only if we have the desire to attain it. Manoj Bajpayee, being a gem of a person, has lived the role brilliantly and so was the haywire #Taandav he did, amidst all the chaos of his life was at the heart of the movie and enjoyable. My #Taandav Movie Review or Verdict would be a strong recommendation to all my readers, followers and friends to watch the short film, and experience the tint of freedom, which all of us, silently own. Previous Previous post: ezebee- your answer to free online marketplace! Next Next post: Top 3 DIY Creative Valentine Gifts for him ideas!